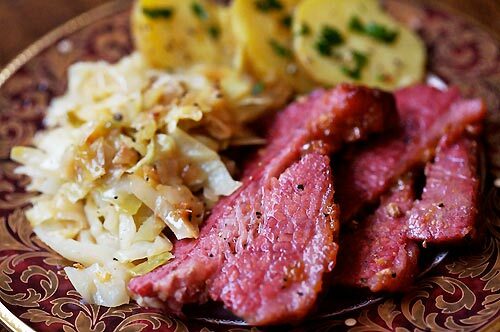 Knights of Columbus Council 14360 is proud to announce that its 5th annual Corned Beef Dinner will be held on Saturday evening, March 8 at 6:00 p.m. in the Great Room of St. Matthew Church (216 Scribner Avenue, Norwalk). This year’s dinner, like the previous four, will once again serve as a fundraiser, enabling Council 14360 to continue its support for a number of local charitable organizations. The adult menu will include traditional St. Patrick’s Day favorites such as succulent corned beef, cabbage, potatoes, carrots, in addition to sourdough bread, soda and water. A cash bar (beer and wine) will also be offered. Kids will enjoy “Irish” chicken tenders as well as macaroni and cheese, and all attendees will enjoy a delicious dessert. As in past years, many exciting raffle prizes will be offered, including items such as New York Yankees tickets, Brooklyn Nets basketball tickets, and much, much more. Last year’s Corned Beef Dinner was a lot of fun and also a complete sellout, and space is limited, so be sure to make your reservations soon. Cost is $17 for adults and $7 for children (ages 10 and under). For more information contact Grand Knight George Ribellino at gribellino@sbcglobal.net or 203-856-7101, or Deputy Grand Knight Scott Criscuolo at scriscuolo@encompass.tv) or 203-838-2262. Knights of Columbus Council 14360. Thank you!